Weston provided environmental services in support of the rail relocation and redevelopment of a downtown rail yard property into a Transit Oriented Development (TOD). A Capital Metro property in downtown Austin was redeveloped as part of a TOD. Redevelopment included mixed-use commercial and residential development and a bikeway and MetroRail line located directly adjacent to the proposed TOD. The property was historically used as a rail yard for approximately 100 years, and Capital Metro purchased the property for the development of their commuter rail operations, MetroRail. As part of the redevelopment process, the rail tracks on the property, as well as one of the buildings, required relocation. 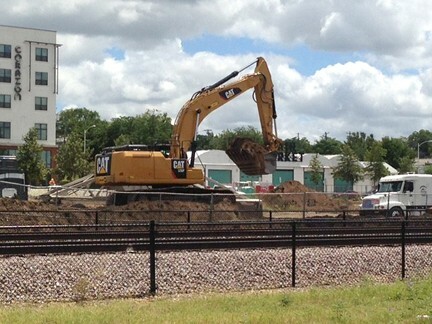 Capital Metro, in cooperation with the Texas Commission on Environmental Quality and with assistance from EPA, is conducting a Brownfields Site Assessment under the City of Austin Brownfields program. Capital Metro is a political subdivision of the State of Texas, and the TOD redevelopment project will be carried out on land owned by Capitol Metro, making the redevelopment activities subject to the Antiquities Code of Texas. The property was accepted into the Voluntary Cleanup Program in September 2013. Our team prepared all submittals required on-time, including status reports and a response action plan. The rail relocation construction activities began in October 2015 and completed in 2016. MetroRail began operation on the permanent tracks in June 2016. Construction of the remaining development on the property is anticipated to be completed in 2018.